Yes it can, with the Top UTM Source, Medium, and Campaign Searchies. Searchies will appear at the bottom of your screen automatically and will change each time you update your search. 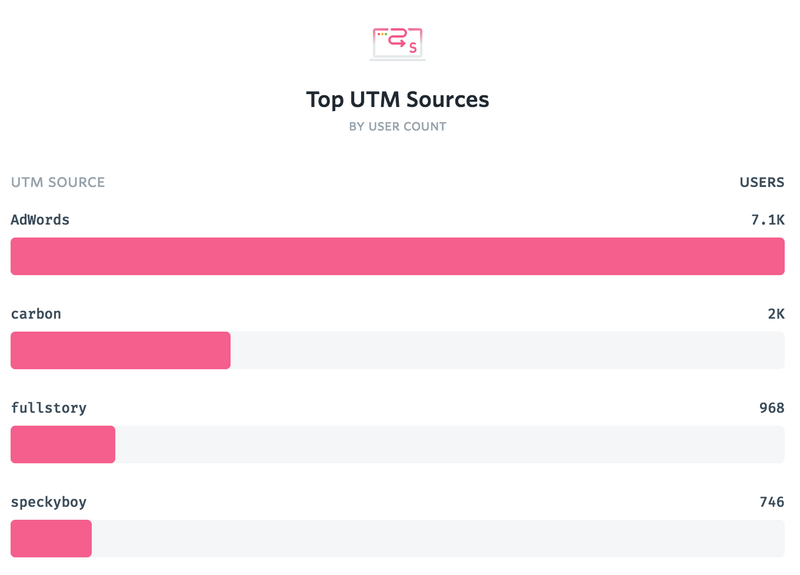 If there are any users in your current search or saved segment who visited pages with UTM-source, -medium, or -campaign parameters, you'll automatically see the corresponding Searchie. 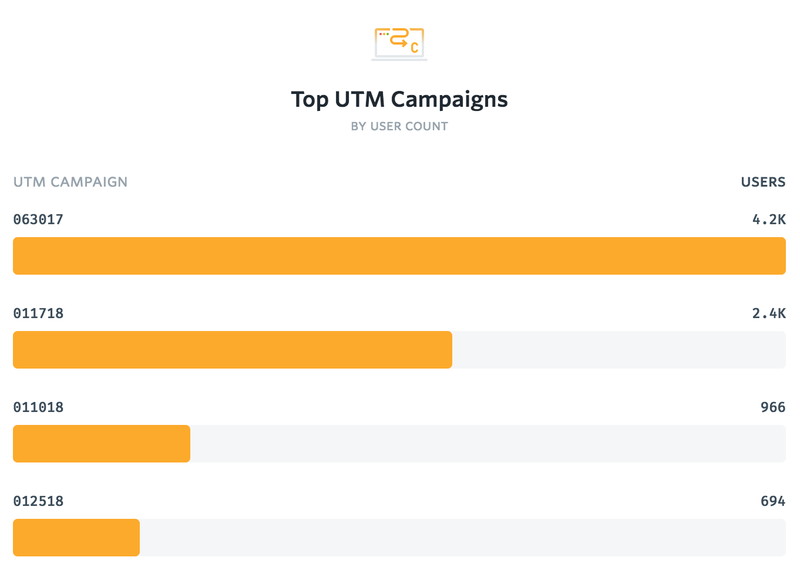 If your segment doesn't contain any visitors who landed on a UTM-tagged page, these Searchies won't appear. 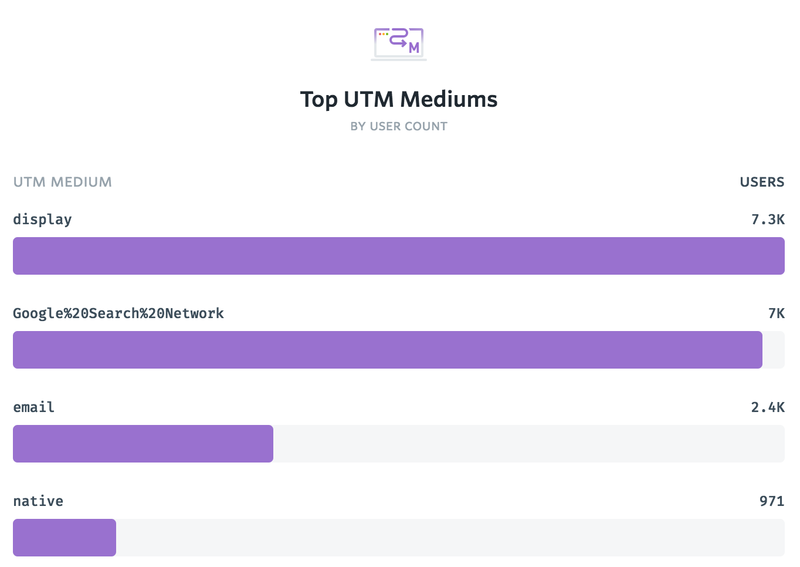 Likewise, if the segment contains utm-source data but not utm-campaign data, then Top UTM Source Searchie will appear but not the Top UTM Campaign Searchie. To zoom in on the customers who visited you through a particular source, medium, or campaign, simply click the corresponding bar in the Searchie and your search will instantly be updated.